This collection brings together essays by distinguished political philosophers which reflect on the detailed arguments of What We Owe to Each Other, and comment critically both on Scanlon's contractualism and his revised understandings of motivation and morality. 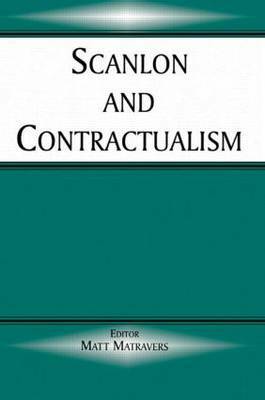 The essays illustrate the uses of Scanlon's contractualism by applying it to moral and political problems and in so doing they provide an assessment of the ability of Scanlon's contractualism by applying it to other forms of ethical theory. The resulting volume makes an important and original contribution to the literature on Scanlon, on contractualism and on contemporary political philosophy.